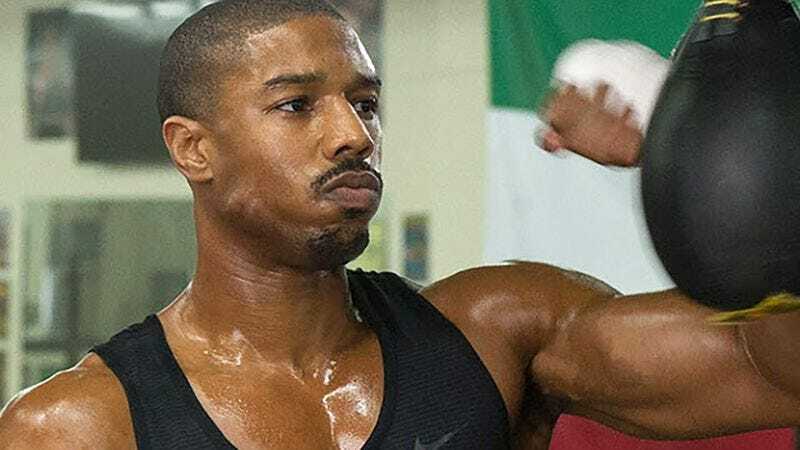 Michael B. Jordan could officially become part of the Marvel Cinematic Universe, as Variety reports that the Creed star is in talks to join the cast of Black Panther. The superhero milieu is by now old hat to Jordan, who played Johnny Storm in last year’s dull Fantastic Four reboot, which had all the charm of an old hat. Despite his suggestion that he might be up for another Fantastic Four film, Jordan looks like he’s preparing to ditch Fox’s parallel (as in, will probably never mingle with The Avengers) Marvel-properties universe, which also includes the X-Men movies. Jordan is currently “in talks” to reteam with his Creed and Fruitvale Station director Ryan Coogler, who’s helming Black Panther. The long-awaited project, which will finally feature Chadwick Boseman as the Wakandan prince in a standalone film, is slated for release on February 16, 2018. Boseman debuted the character in Captain America: Civil War to much acclaim. There’s currently no word on whom Jordan will play, but he might be joined in the cast by Lupita Nyong’o.